You’re a builder, working on a reasonable wage for one of the world’s leading Champagne companies, Lanson-BCC Group. They’ve asked you to renovate an old grape drying facility on their beautiful old property in France. It’s a fantastic spot and you’ve worked with them before, so you take up the job and set to work in the sunshine. Yet you’re not buried behind a pile of rubble, instead you’re now sitting amid a pile of hidden treasure. 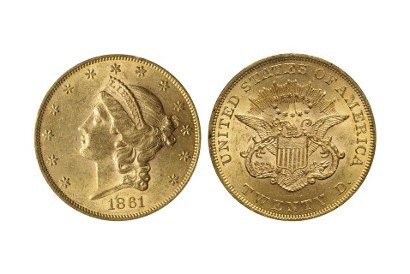 497 rare US coins, minted between 1852 and 1928, have just landed in your lap…literally. And so goes the story of the Champagne Lanson Bonnet Collection of US $20 Gold Coins, which are due to be sold at Bonhams on June 3. It’s not certain how the coins got to be stashed away in the vineyard, but the building was once owned by a wine merchant who traded with the US and England, and was possibly a collector. The honest workman who “discovered” the cache nobly handed them to the owners of the property shortly after. He’ll be rewarded by getting half of the profits – not bad, considering the collection is valued at $1m in the sale. Anyone know of any building jobs going in France? Posted in Auction, coins, Collectibles and tagged $20, auction, Bonhams, Champagne, Coins, discovery, Double Eagle, France, Lanson Bonnet. Bookmark the permalink.